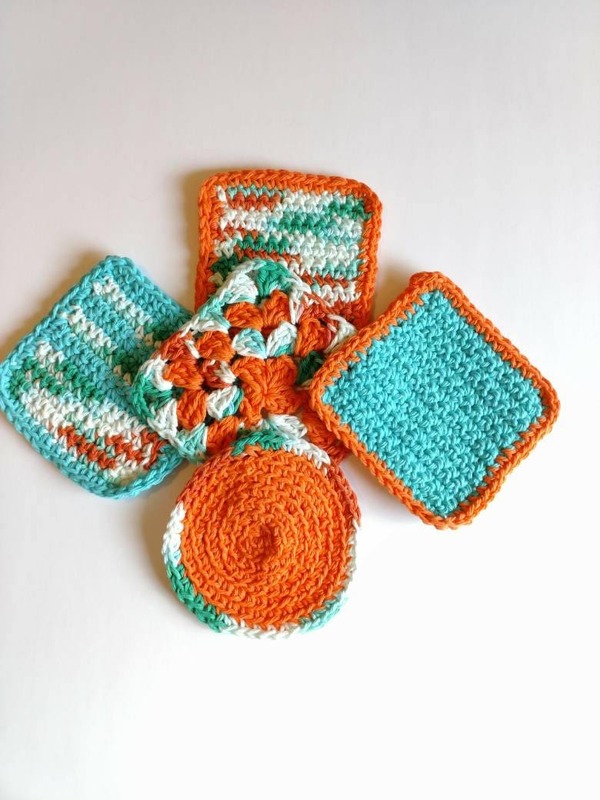 This beautiful set of coasters was handmade and crocheted by me from high quality 100% cotton yarns. The 70s and retro decor were my inspiration for this set. 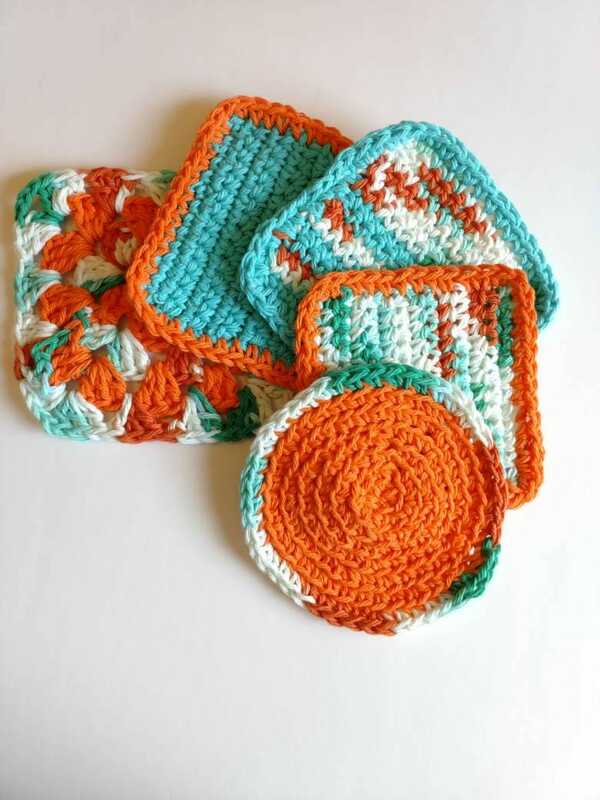 Retro Orange and Retro blue combined give this trivet a chic, fun look! These were Handmade by me in my smoke free and pet free workshop. Indicate the types of coasters you want at checkout. If you indicate 'Other' then please leave me a note at checkout with your request. 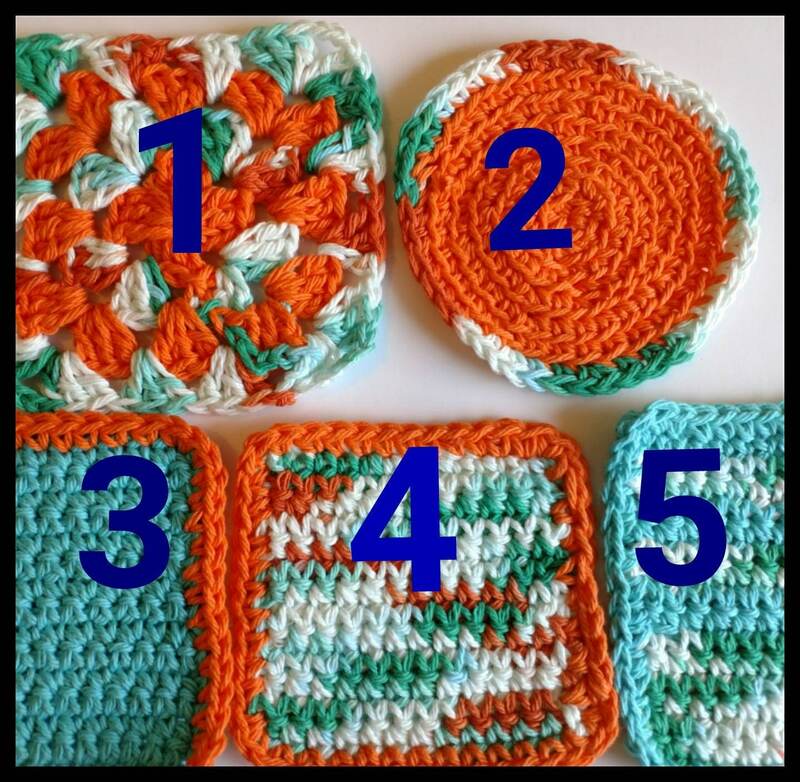 When you purchase this listing you will receive 5 coasters in the type you choose. Images show which coaster corresponds to which type number. 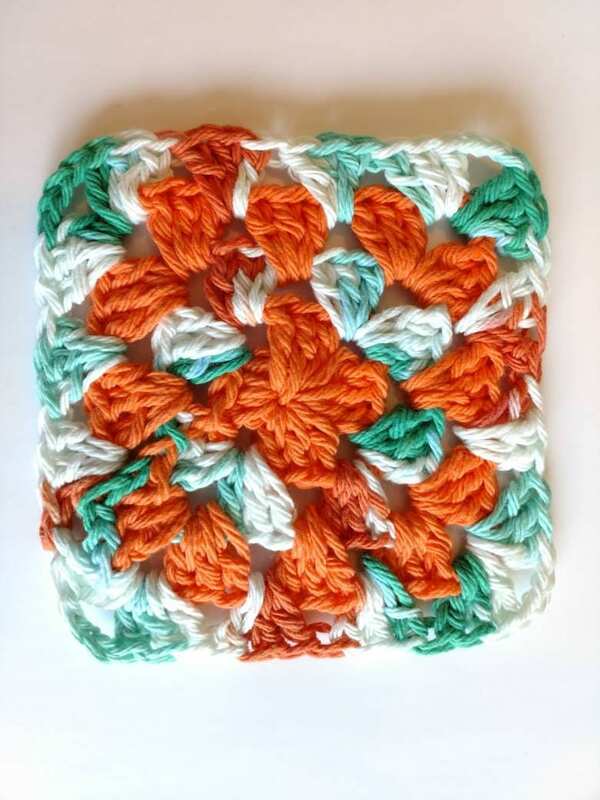 Coasters are great to protect coffee tables and dining tables. 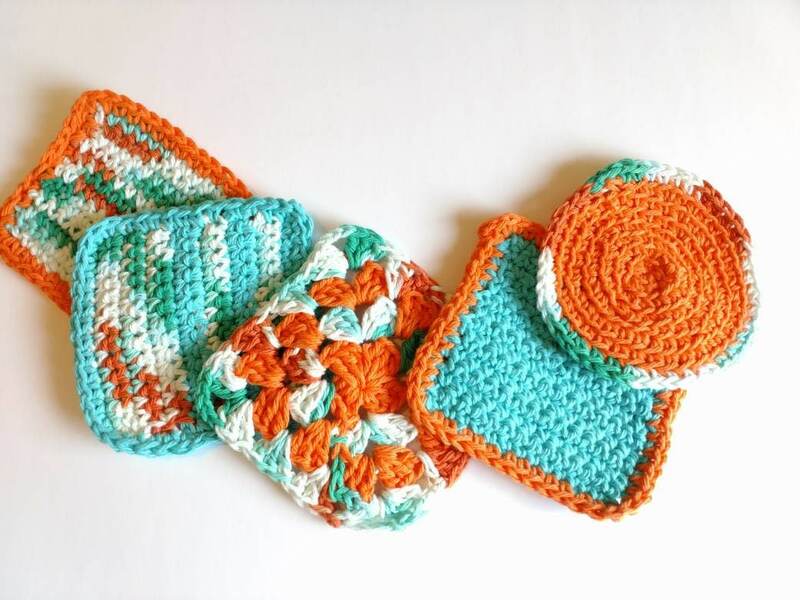 You can put these versatile coasters in the washer and dryer with like colors. Tumble dry on low heat or just let them dry flat. These cloths will be softer with each wash, and they may shrink a little and fade just a bit overtime. Custom orders are welcome. Please convo me with your request.